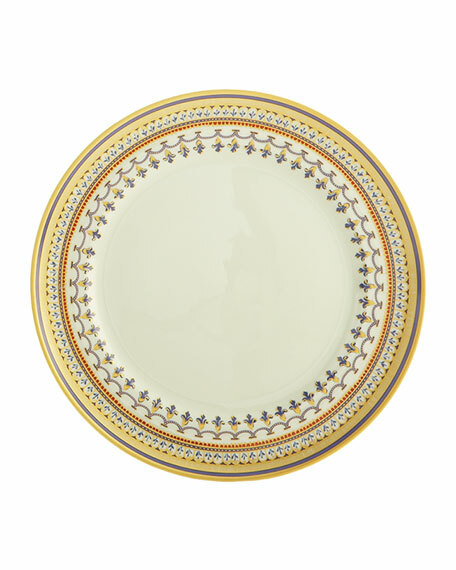 Brandenburg Gold salad plate. 7.5"Dia. Porcelain with golden detail. Hand wash. Made in France.